Theater Design Northwest is excited to announce that we are now a dealer for the full line of excellent speakers from Definitive Technology. DefTech’s great sounding designs offer the additional advantage of a large variety of innovative form factors that can really help bring a challenging installation together. Designs like the Mythos XTR-50 slimline system and their great towers with built in powered subwoofers make sure your install looks as great as it sounds. 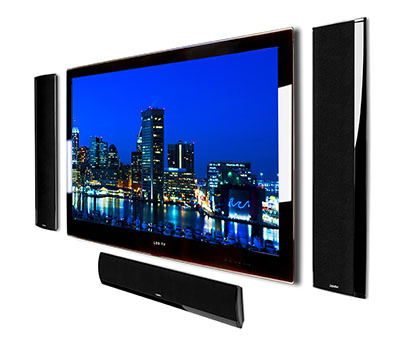 And Definitive Technology speakers sound great for both multichannel home theater and stereo music applications. Why buy your DefTech from the big box when you can do business with your friendly custom installer and receive personal, responsible service? We are honored to partner with this legendary American manufacturer.